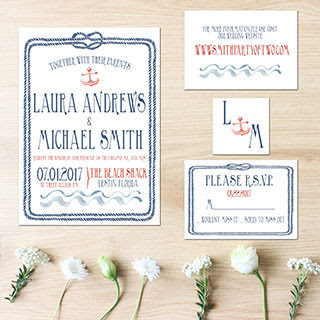 Regardless of whether you make your own wedding invitations or have these printed professionally the wording for wedding invitations is very important. 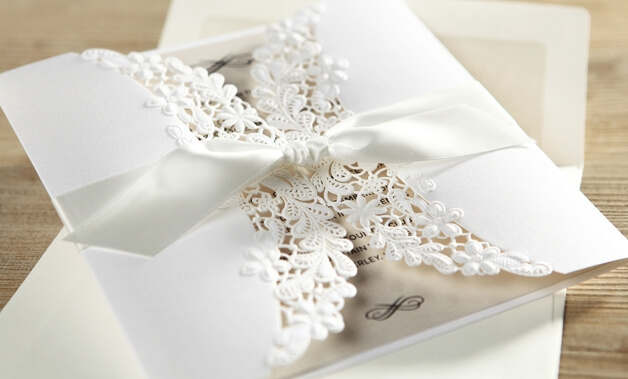 The wedding invitation wording informs your wedding guests all the important details that they will need to attend your wedding day. These include setting your wedding date, booking your ceremony and reception venues, knowing your guest list, your wedding theme, will you be having children at the wedding reception, the formality for your wedding, what type of meal will be served at your wedding and the invitation designs. It is important that you set and confirming your wedding date early as this will help you set a timeline in planning your wedding. 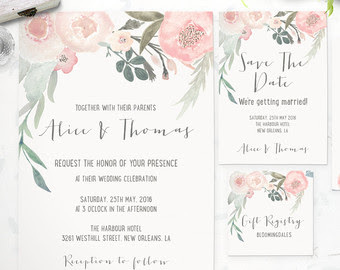 Also by having a confirmed date you will be able to notify any out of town guests of your planned wedding date by sending them save the date cards. 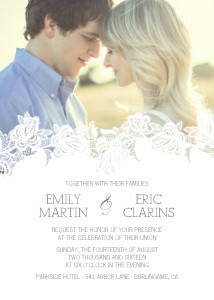 With this advanced notice your intended wedding guests can plan to take time off from work and make travel plans. You need to confirm the time a location of both your wedding ceremony and reception venue as these details will all need to be included in the wedding invitation; you should also get the correct name and address of both venues. 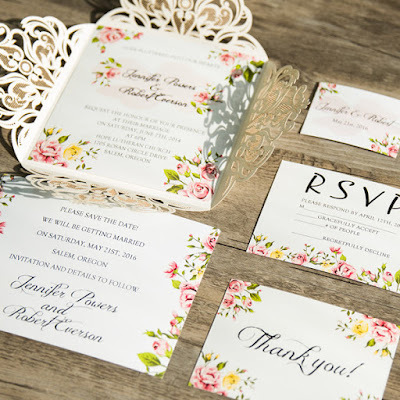 Work out your guest list this will determine how many invitations and other stationery you will need printed. 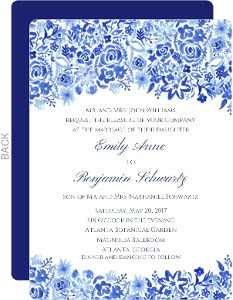 When you have your invitations printed it is wise to have extra copies printed just in case mistakes are made when addressing your wedding invitations. 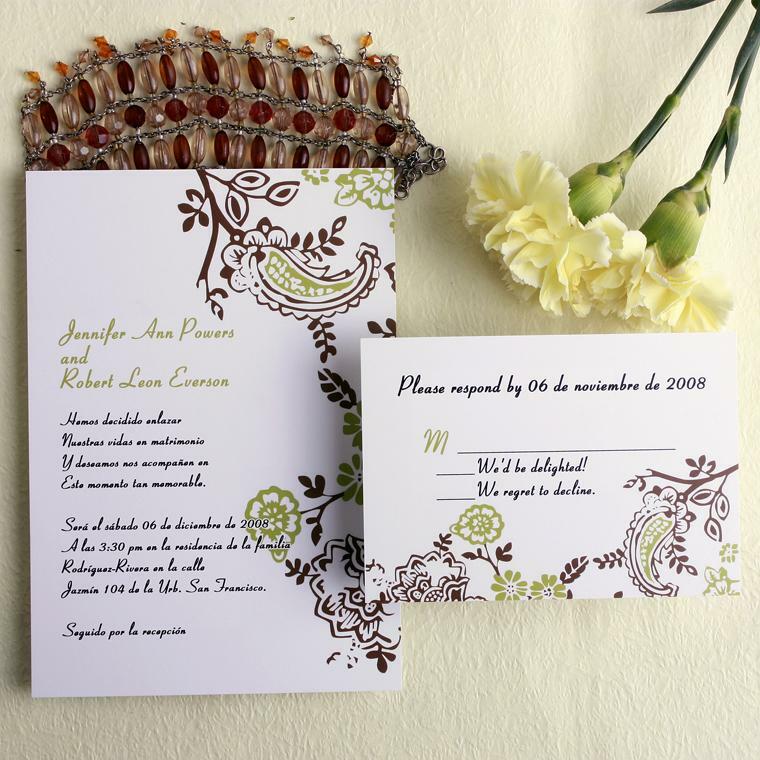 You may also like to have reply cards, thank cards and place cards printed at the same time in the same theme. Decide on a theme for your wedding invitations this can be come from your chosen wedding theme if you have one or if you are not going with a theme chose a design or color for your all your wedding stationery. It is always nice to inform your guests as to what you expect them to wear to your wedding so you should decide on the formality of your wedding. Will your wedding will be formal, semiformal or casual these details are usually put at the bottom of the invitation. 6. Will There Be Children At the Wedding? Are you going to allow children to the wedding? If you choose to have an adult only wedding reception you could state this on your wedding invitation or on your RSVP cards by simply stating "Adult Reception". You should also give an indication of what type of reception you will be having so that you guests will know what to expect food wise. So if you are planning on having a two hour cocktail party, it's a good idea to put a start and assumed finish times on the invitation; this way people will be expecting nibbles and not a full meal. 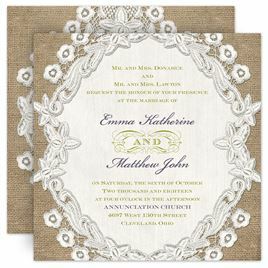 Finally you should also consider the size, weight and shape of your wedding invitations as these can increase postage costs especially if you have many invitations that need to be posted. Now that you have all these details in hand you can make a start on having your invitations made. One very important detail that you must not forget to do is proof read all the details before all your invitations are printed. This is essential as it can cost you dearly if you have to have all you invitations reprinted just because you missed and incorrect detail.